Eyes are the most important part of an individual’s body as it is the one that helps see the world. So, taking good care of your eyes is a must. If you encounter an eye infection, you must consult a doctor. The symptoms of an eye infection are; itchy sensation, redness, irritation, etc. There are many Generic eye care/eye infection drugs that help in preventing these manifestations. Apart from this, there are a number of medications that help grow your eyelashes making them look fuller, lengthier and dark. 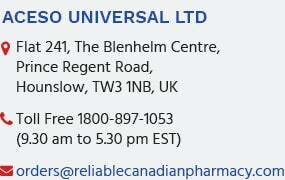 So, head over to ReliableCanadianPharmacy to shop high-quality eye care as well as eye infection medications. It’s better to consult a doctor first as self-diagnosis can sometimes be dangerous, especially when it comes to one of the most sensitive parts of the body.